The Plantagenet dynasty ruled England for over 300 years and in that time there were many influential Queens and consorts behind the throne. Unfortunately, Plantagenet Queens & Consorts does not include every Queen from that time, which seems like a missed opportunity. The women with their own chapter in the book are; Eleanor of Provence, Isabella of France, Philippa of Hainault, Joan of Kent, Katherine Swynford, Joanna of Navarre, Katherine of Valois, Margaret of Anjou, Elizabeth Woodville and Elizabeth of York. This means that the missing Queens are: Eleanor of Aquitaine (who is included in the introduction), Margaret of France (the Young Queen), Berengaria of Navarre, Isabella of Angoulême, Eleanor of Castile, Margaret of France, Anne of Bohemia and Isabella of Valois. I am not sure I would have considered Joanna of Navarre, Katherine of Valois, Margaret of Anjou, Elizabeth Woodville or Elizabeth of York as Plantagenet Queens in the first place. The chosen women seem a little random and seem to be the most “popular” Queens (or consorts since neither Katherine Swynford of Joan of Kent were Queens). In addition, there seem to be a few spelling errors and some missing punctuation in the book. Overall, I’d say there are better books available, such as England’s Queens by Elizabeth Norton (US & UK). 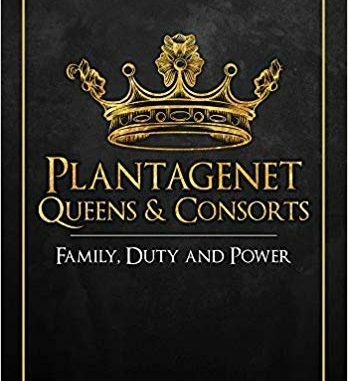 Plantagenet Queens & Consorts: Family, Duty and Power by Dr Steven J. Corvi is available now in the UK and will be released in the US on 1 May 2019. It seems that Isabella of France AKA The She-Wolf of France was one of my ancestors. 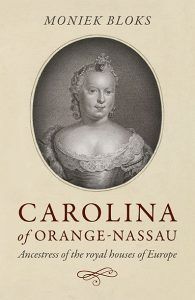 I enjoyed reading about her & her influence. What an incredible woman.